You may recognize his work from his collab with Coach (!) launched this summer, his brand new sock collection with WearPear and his whopping 19 murals at the Rheingold Apartments in Bushwick. It's safe to say he's killin' it. Jason is not only an aesthetic inspiration but has incredible advice for other creators out there. Get to know him and his distinct style in our exclusive Q&A. How long have you been working as an artist/designer? I’ve been working as a designer for 14 years, and focusing on working as an artist for the past seven. Has your style always been the same? If not, how did it develop into what it is today? No, my style has actually been through a roller coaster of identity crises, LOL. 1. Stay in my own lane. I started limiting the amount of “other artwork” I allowed myself to see. I don’t spend much time looking at things on the internet or Instagram; I just quickly soak them in and move on. 2. 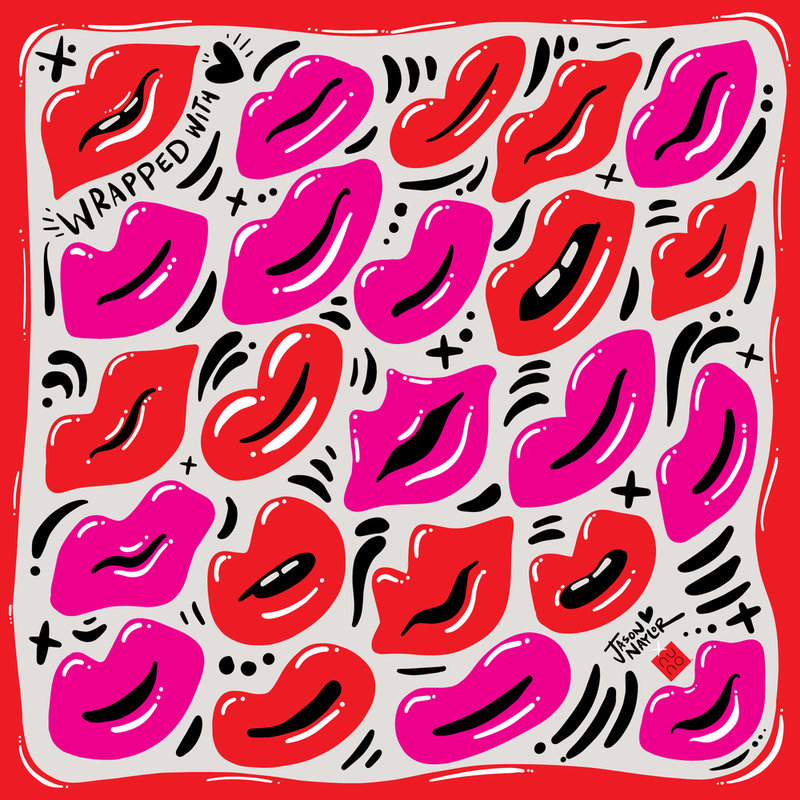 The other thing that helped my style develop was to create - as much and as often as possible. The more you make, the more you know what you make best and what feels right. I create something new every single day! What kind of impact do you want your art to make? The biggest thing I desire is to put a smile on peoples’ faces and/or in their hearts. I want my work to remind people to feel optimistic, enjoy their day and feel good about themselves. Have you had any unexpected responses to your art? Yes. I was fortunate this last year to win a mural competition that got me a wall on the streets of Manhattan which is a pretty huge deal to me, kind of a bucket list type of dream come true. The response to the piece I painted has been so expansive - beyond anything I expected - and has actually broken the seal to being able to paint many more murals in NYC. Who inspires you? Are there specific artists or designers? I feel inspired more by random things I see and hear around me. Signs on the street, magazines. Sometimes Instagram. Motivational quotes resonate a lot with me, and I like to try and spin them my own way a bit. Do you have any words of wisdom to share with aspiring designers and illustrators? YES. The best advice I can give is the same thing I remind myself often. “Stay in your own lane!” Don’t worry about what others are doing. Just focus on logging time and effort on creating your own things and keep it up. Consistency will solve many of your problems. Thank you Jason for joining in the Nuno love. 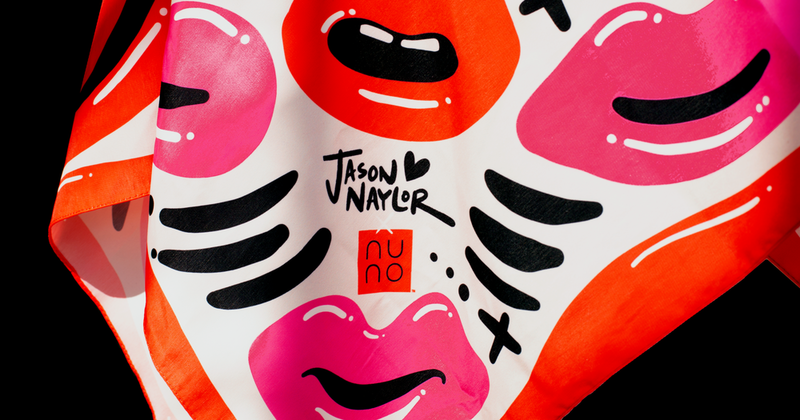 The NUNO X JN Collection features Jason's insanely cool designs on classic furoshiki scarves/wraps, sleep masks, robes and more! We can't wait for you to get your hands on it.